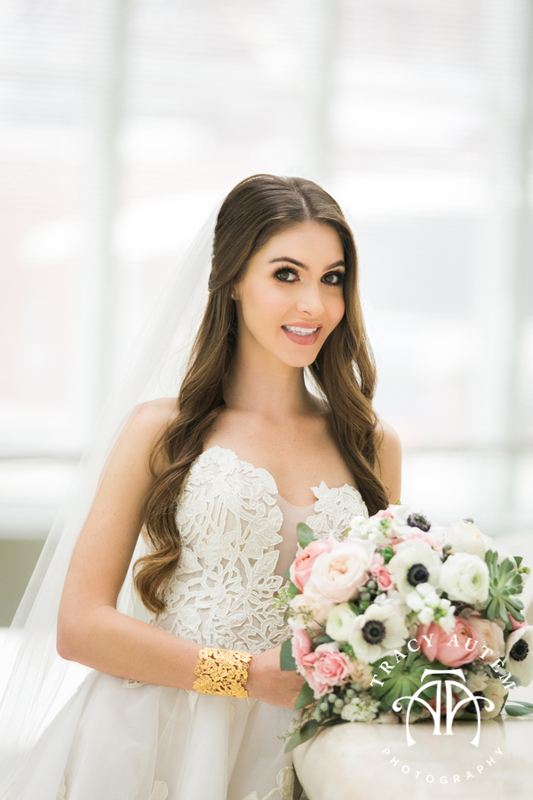 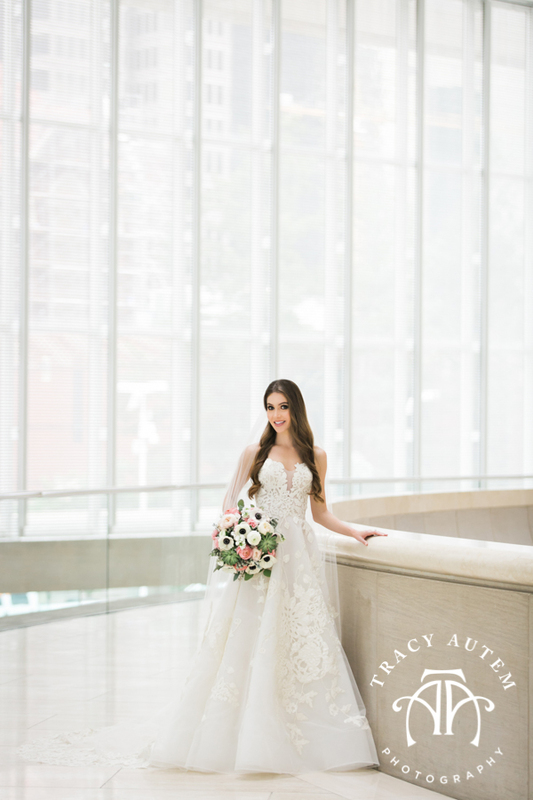 I have been dying to share this bridal portrait. 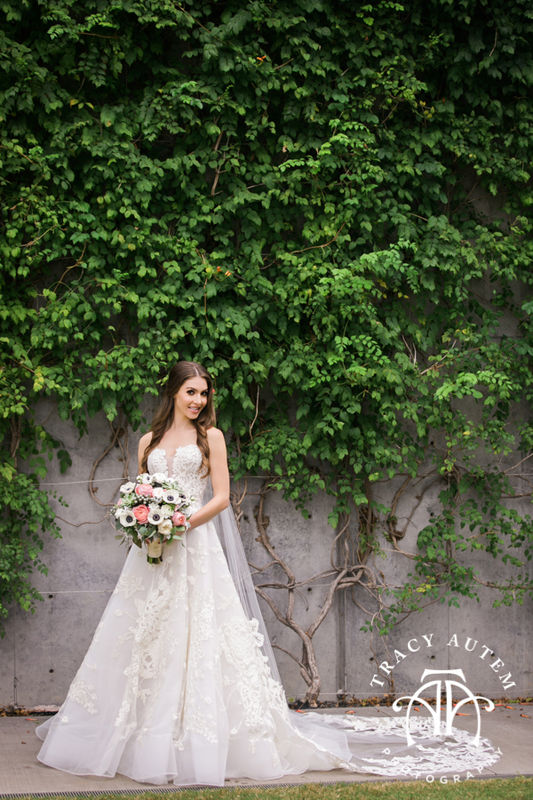 Jackie is so super sweet, I just love spending time with her and her entire wedding day look was just stunning. 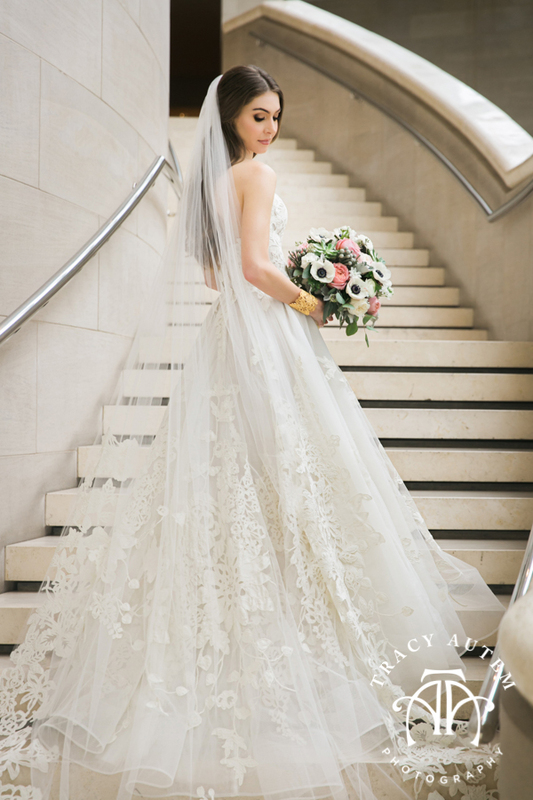 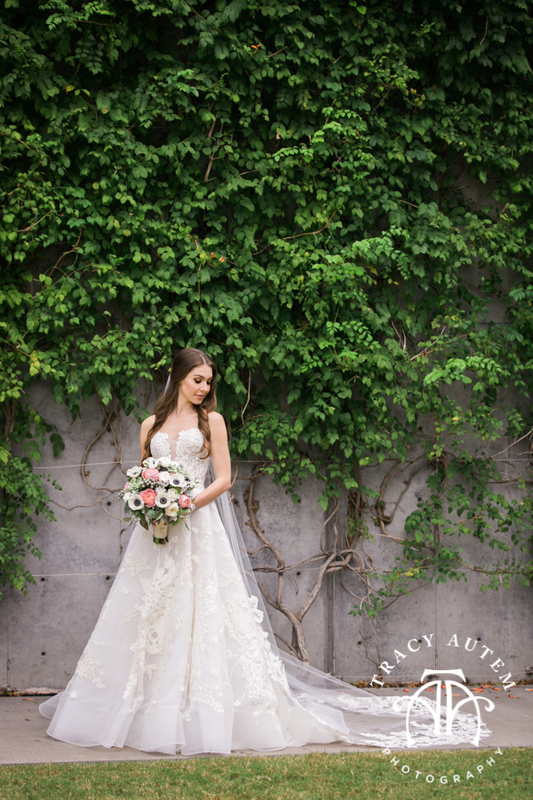 Jackie found her dress at Stanley Korshak and it was designed by Isabelle Armstrong. 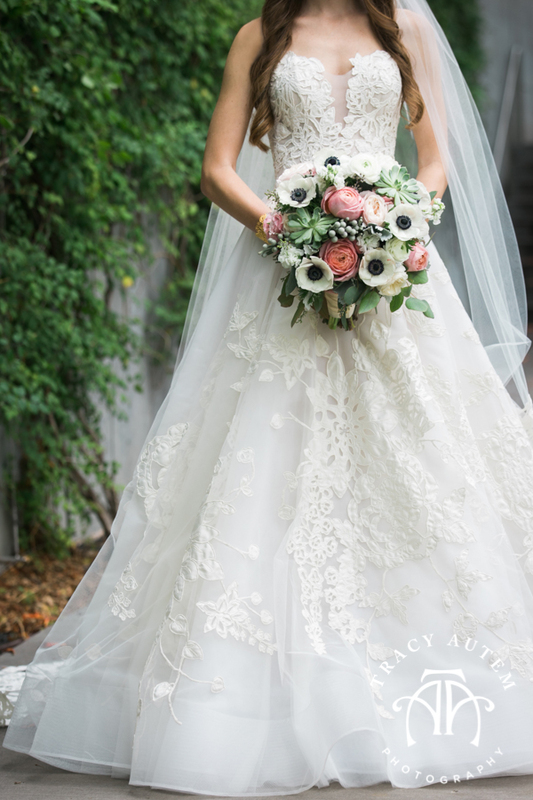 I love the bold lace details, edging and fitted bodice. 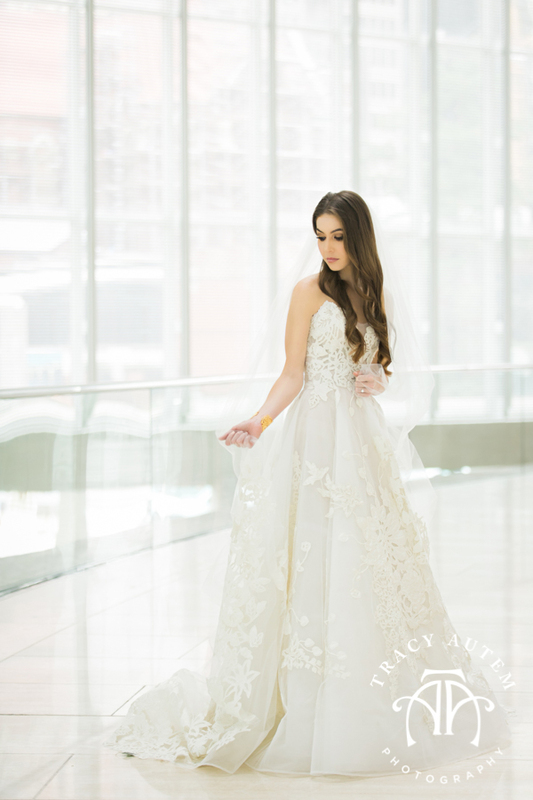 It is light and airy and ever so intricate. 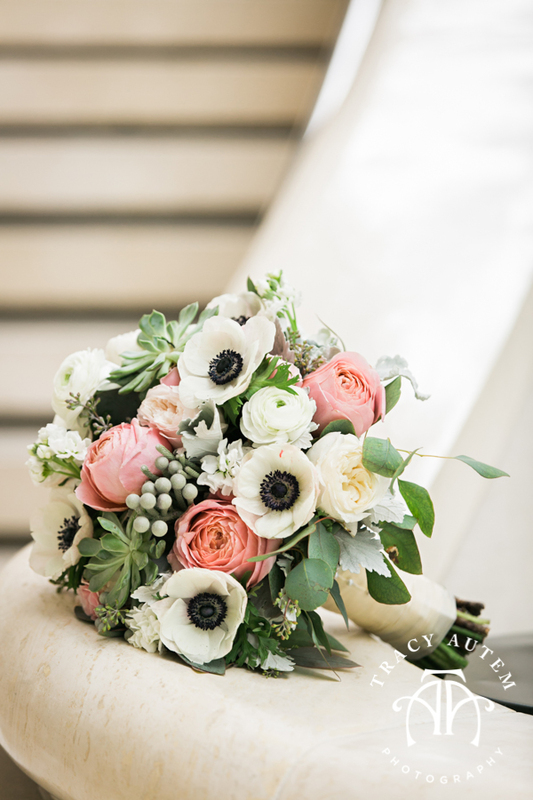 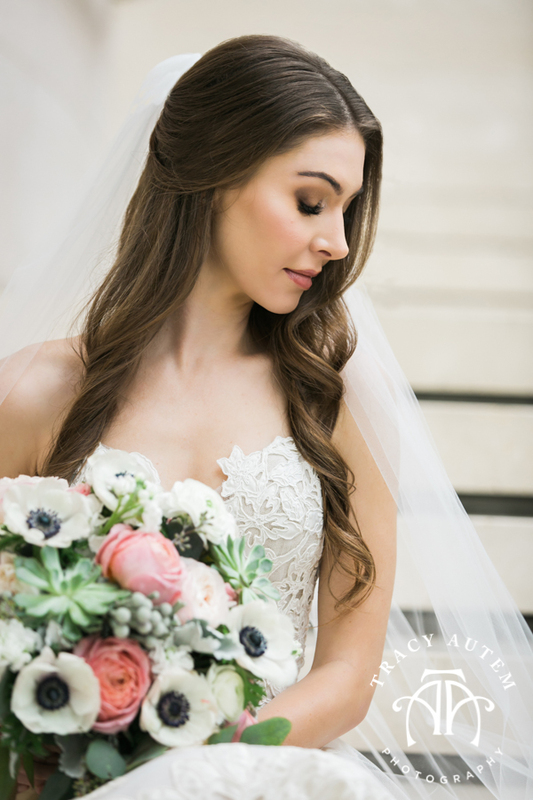 Her textured bouquet with anemone’s and pops of pink by Tami Winn brought in a bit of depth to her look. 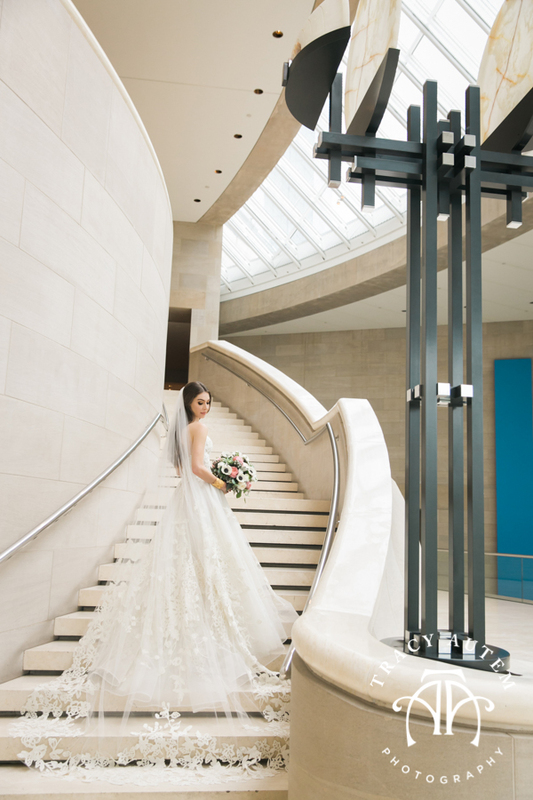 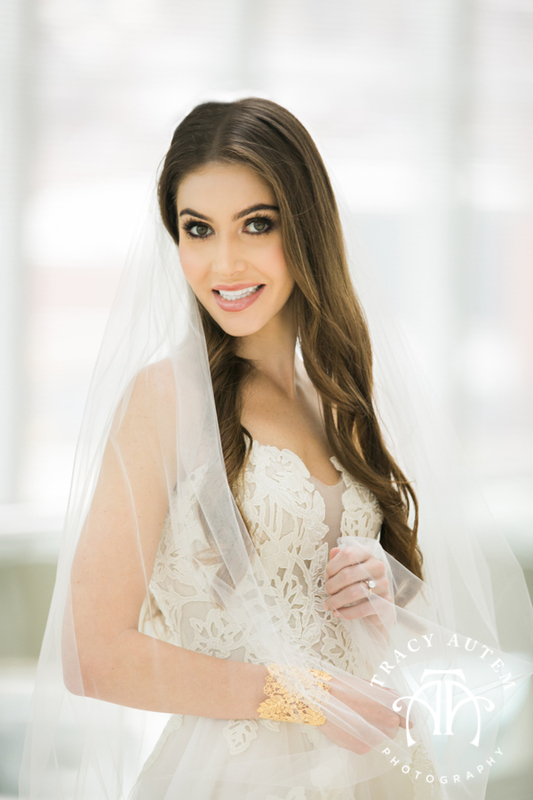 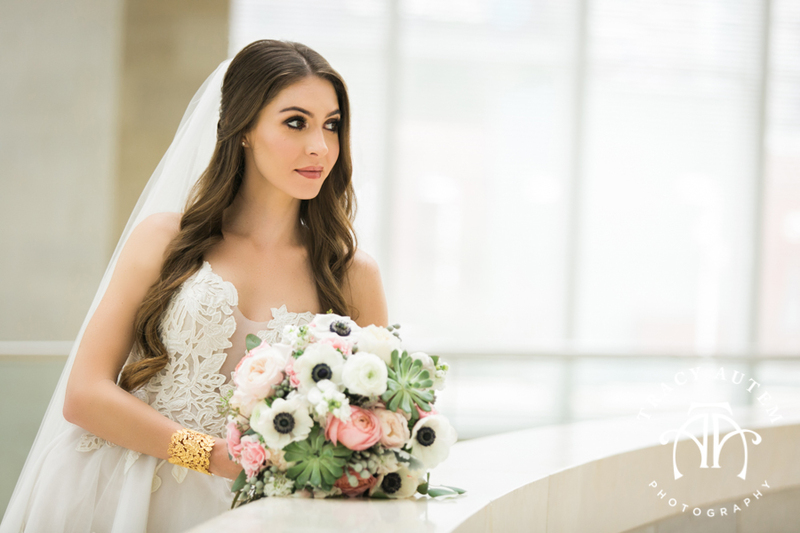 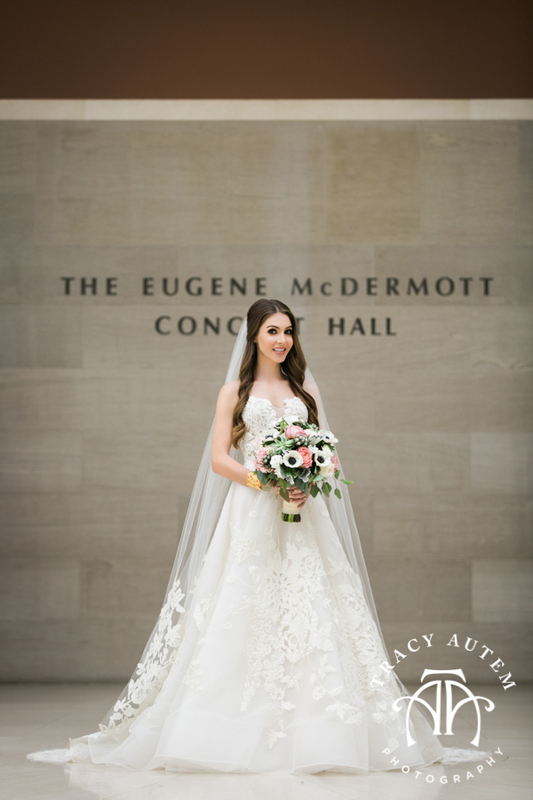 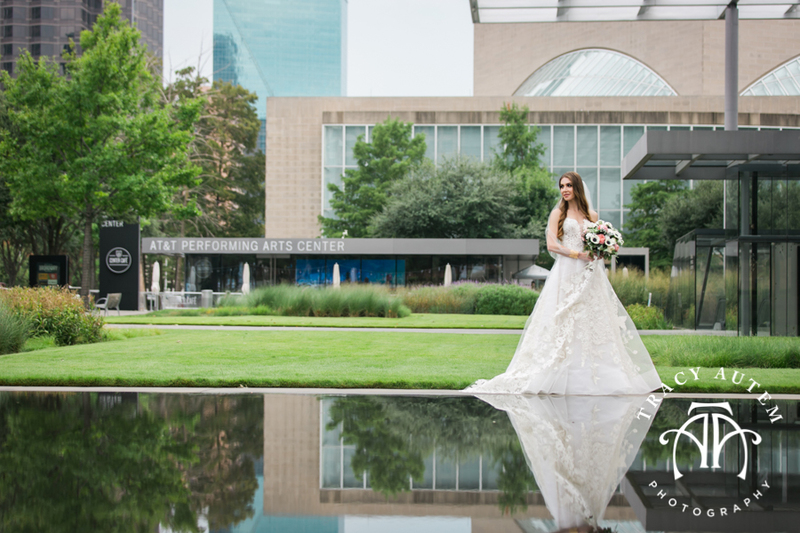 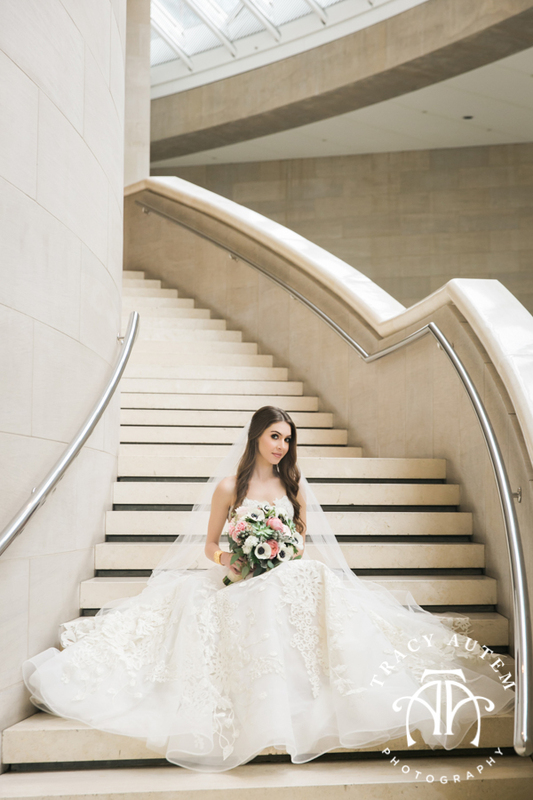 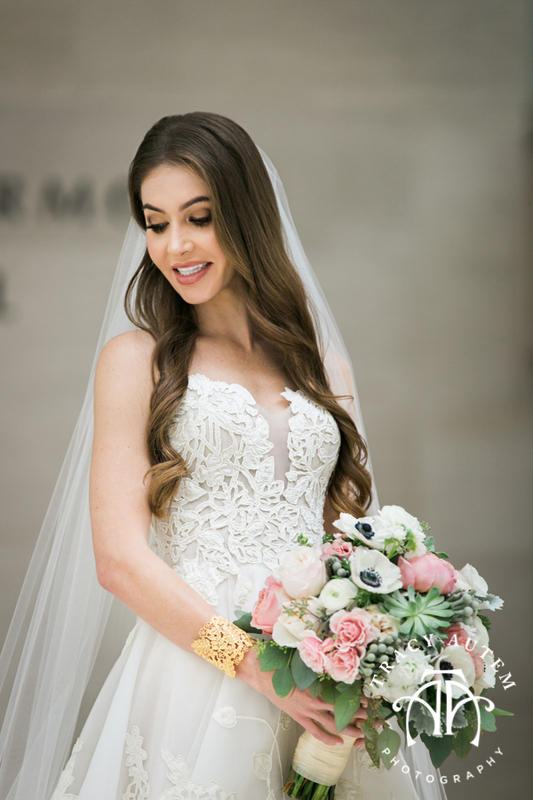 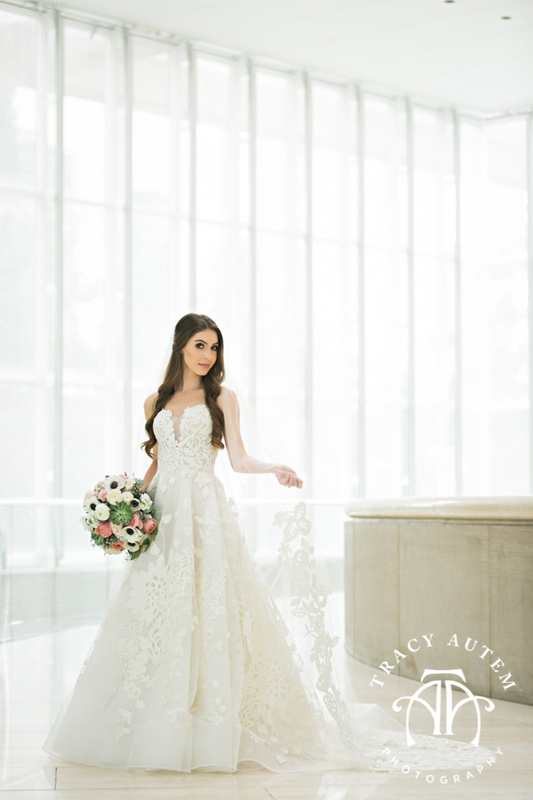 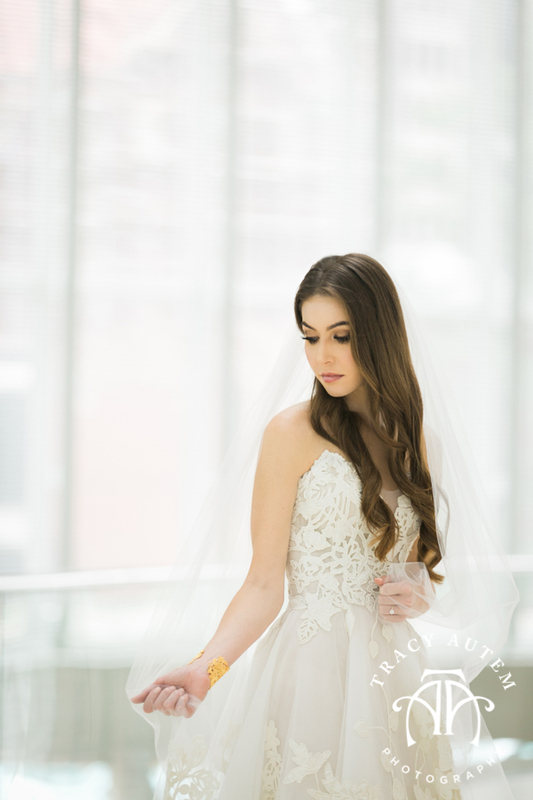 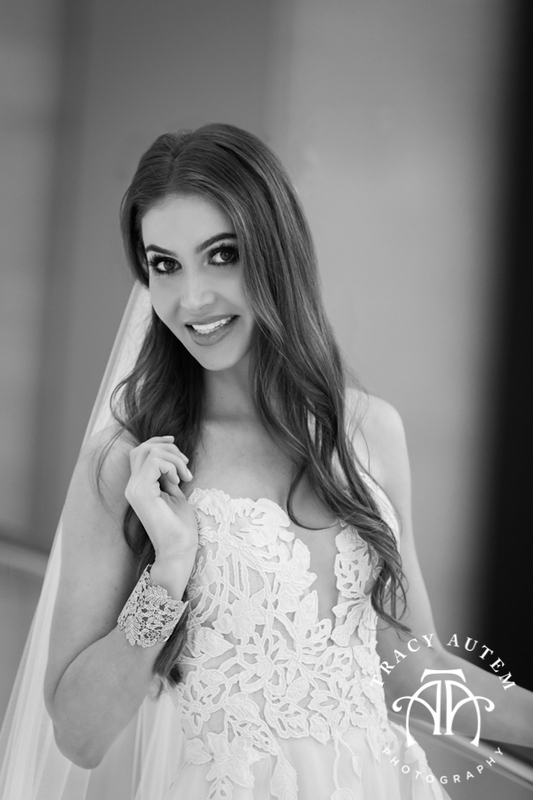 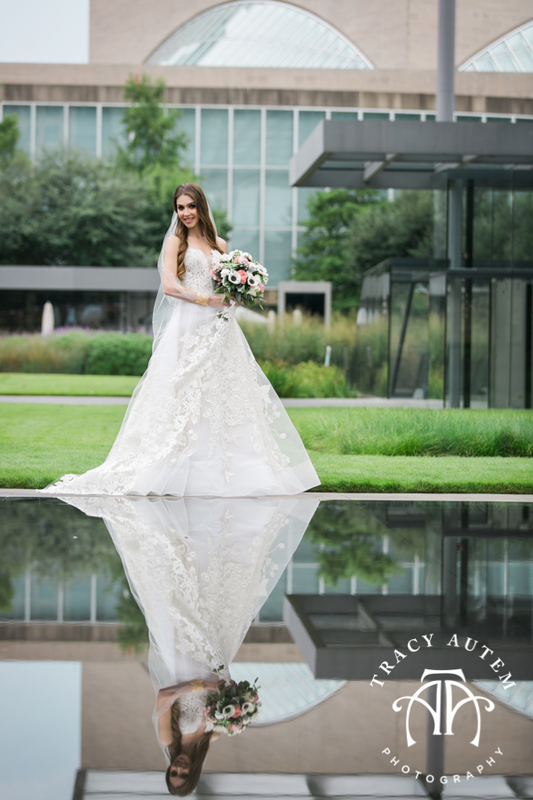 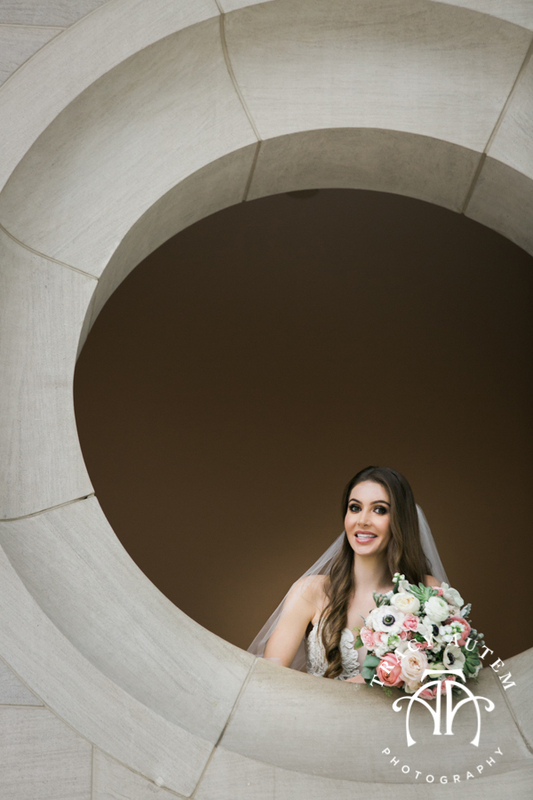 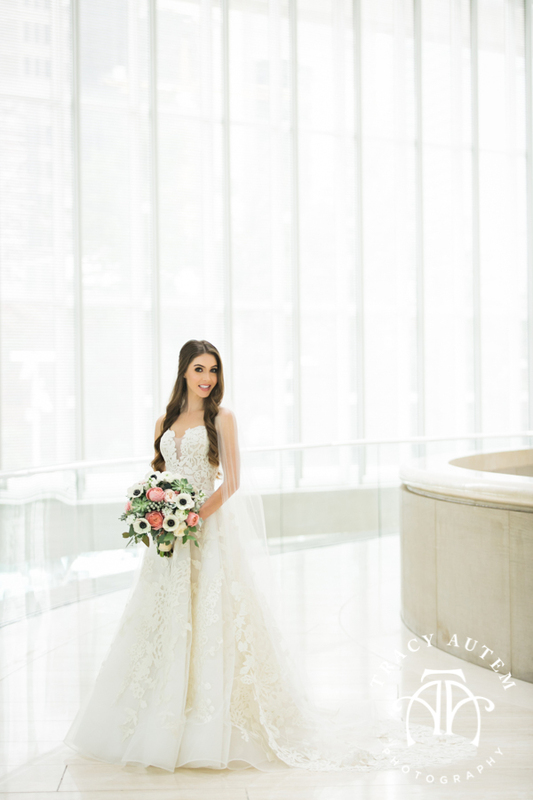 I always love photographing at the Meyerson – the light bright and airy feel of this venue is a favorite and it’s modern clean lines were the perfect backdrop to Jacqueline’s dress. 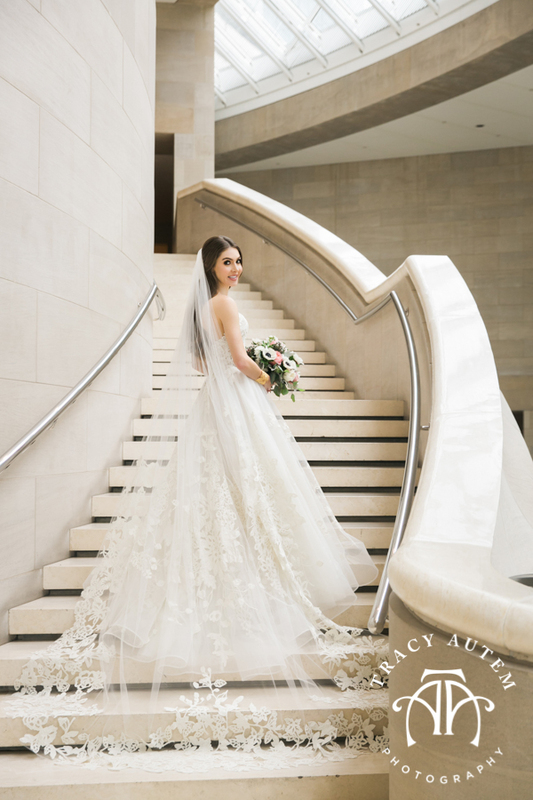 Makeup and hair by Quynh Nguyen Yip.